Super Bowl Sunday is almost upon us. Maybe you, like many Americans, are looking forward to a party with friends, food, drinks, and football. However, a Super Bowl party can be very different from a dog’s perspective. 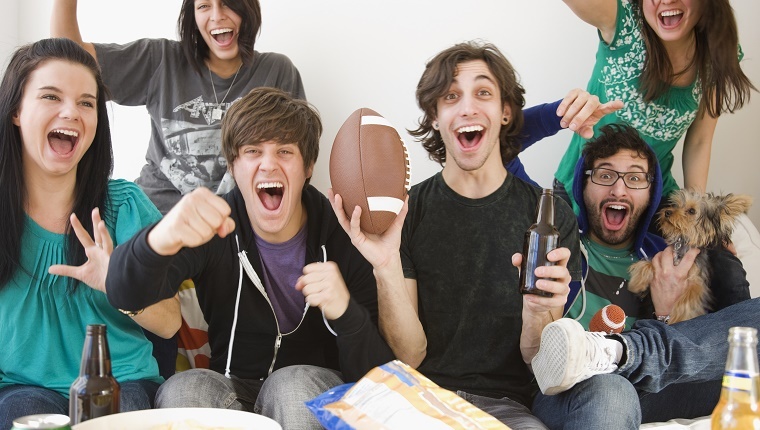 New noises, people, and smells can be a bit exciting or even overwhelming, but there are a few things about a Super Bowl party that are downright dangerous for dogs. 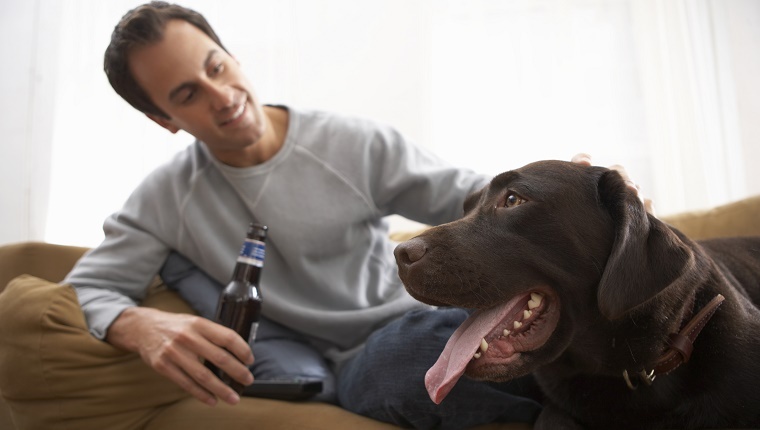 Here are a few tips that will help you make sure your dog is safe during the big game. You can always look forward to the finger foods at a Super Bowl party. While you may enjoy your treats, your pup should stick to their own foods, as the common appetizers at a Super Bowl party are very dangerous for dogs. 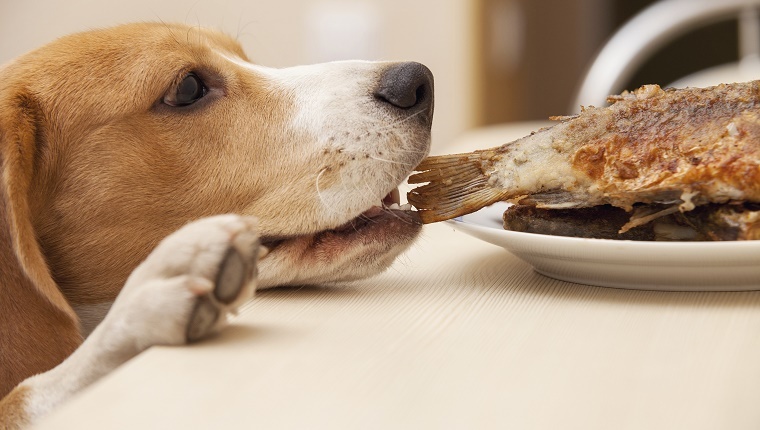 Chicken wings have harmful bones that can splinter and wreak havoc on a pup’s insides or cause a dog to choke. Onions, garlic, and chives, which are all found in plenty of dips or potato skins, cause upset digestive systems and damage red blood cells in pets. Salt found on chips and pretzels causes excessive urination, thirst, or even sodium poisoning. Chocolate is especially toxic to dogs. And cheese and other dairy products, which are found in nachos, desserts, pizza, and plenty of other Super Bowl snacks, can lead to upset stomachs and diarrhea, as most pets lack the enzymes to break down lactose. Keep food off the coffee table and out of your dog’s reach. Advise your guests not to feed your dog, no matter how cute their puppy-dog eyes may look. Alcohol is toxic for pets. It can cause any number of problems for dogs including vomiting, diarrhea, difficulty breathing, tremors, loss of coordination, abnormal blood acidity, coma, or even death. Keep the drinks in hand and away from dogs. Under no circumstances should a dog drink alcohol, even if your buddies think it would be cool. It’s not. Caffeine from soda, iced tea, or coffee can be just as bad. It can lead to abnormal heart rhythms, seizure, or death. All drinks at the party should stay out of your dog’s reach. The sweet smells may attract your pup, so clean spills quickly and don’t let your dog do the work by lapping it up for you. Keeping your food and drinks away from your dog is all for nothing if they can just raid the garbage bag later. 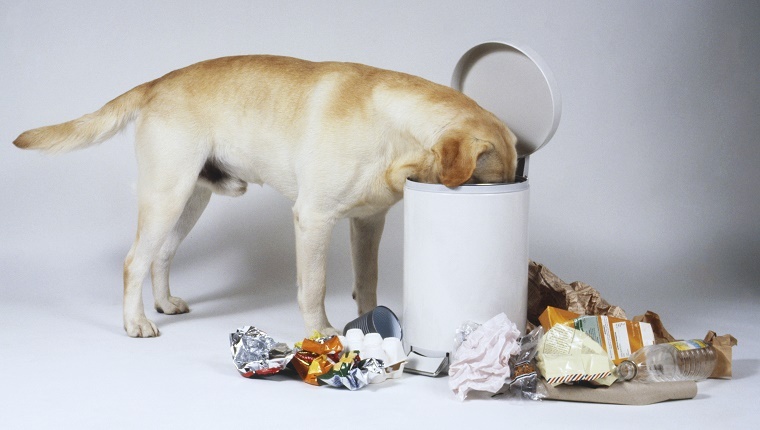 It makes sense to leave a trash bin in an open space so your guests can find it quickly, but if your guests can get to it easily, so can your dog. Even getting at the paper plates or plastic cups that have no food on them can cause plenty of indigestion or choking and can lead to an emergency vet visit quickly. Keep the garbage in a secure place, and just let guests know where it is. You and your friends may love cheering on your team loudly and enthusiastically, but imagine if a bunch of strangers came into your home and started yelling about something you didn’t understand. It might be pretty scary. Noise anxiety is a real thing in dogs, and it can be dangerous. Some dogs will try to run and hide, or even escape the house. They may act fearfully, bark, or snap at strangers who try to approach. 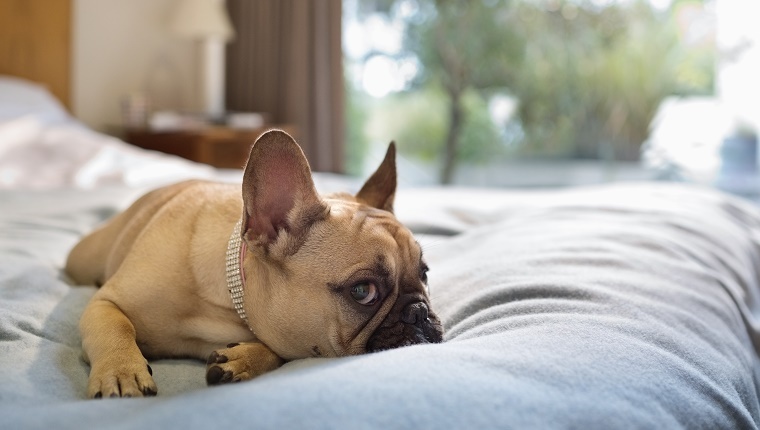 If your dog is prone to fear of strangers and loud noises, keep them in a secure room away from the action. Playing the radio or television might also reduce stress and drown out the noise. There’s nothing wrong with having a few drinks. It’s a party, after all. But people who have had a few drinks tend to be a little more touchy-feely, especially if there’s a cute pooch running around. The lack of coordination and reduction in motor skills can also lead people to be clumsy, and they might not be able to react in time if a dog suddenly appears in their path. Tripping, stumbling party guests can lead to injuries for pets and humans alike. Keep an eye on your guests. If they seem to be having one too many, it may be time for the dog to find a safer room to stay in. 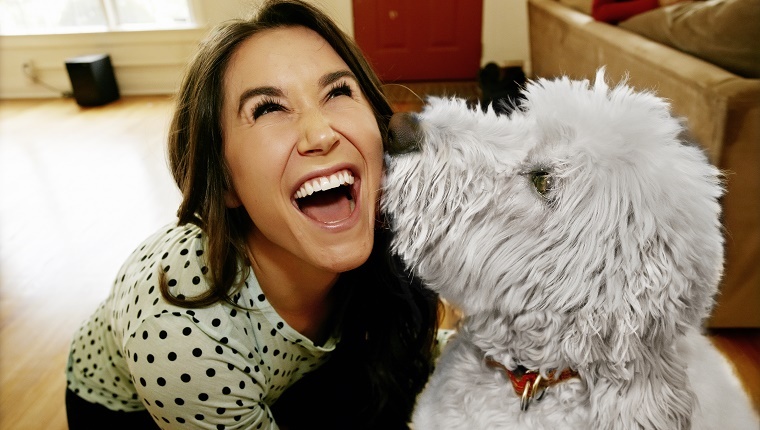 Your pup isn’t going to have nearly as much fun as you are at a Super Bowl party. They don’t care about the game or the commercials. Instead, just avoid the problems by putting your dog in a safe room with the radio on so they can relax. You can even bring them out on-leash to say a quick hello to the guests early on before putting them in their safe place. That way your buddies can all get their fix of pets and tail wags before the game. They’ll probably appreciate not having to worry about your dog, as well. 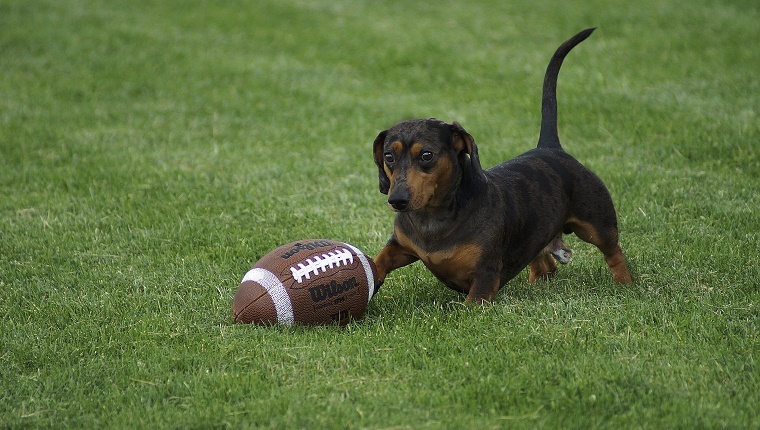 Is your dog joining your Super Bowl fun this year? What are you doing to keep them safe? Let us know in the comments below.